Double-Edge Razor Blades . . . with Ultra-Fine Teeth! 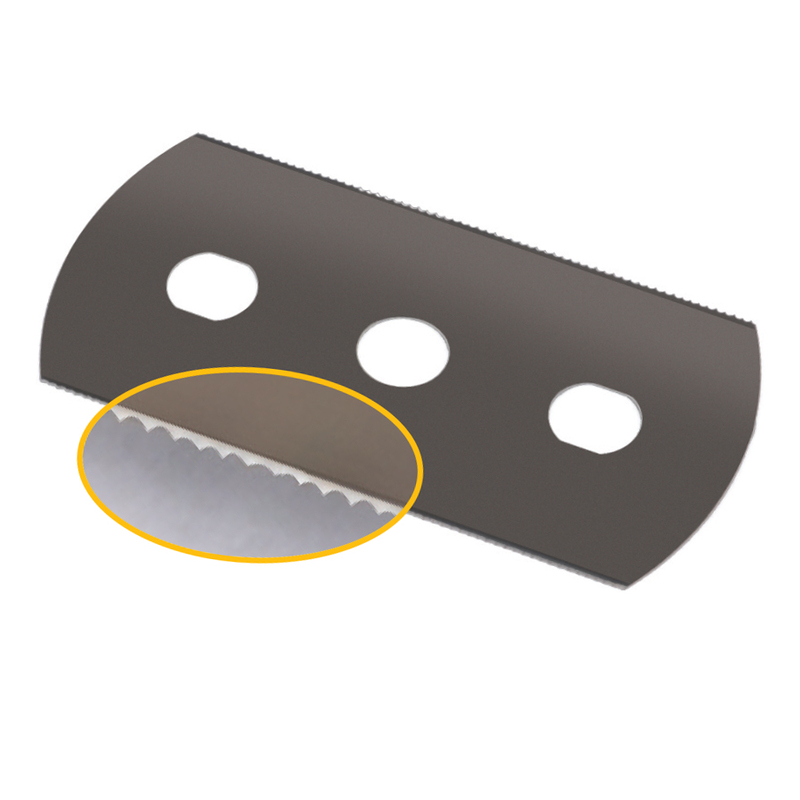 Special razor blades made just for model builders have 70 teeth per edge and are only .005 inches thick. You'll get the finest, smoothest cuts in plastic, resin and wood without leaving large gaps in the material. You can even cut 1/32 inch off the end of brass tubing with ease. Double-edged for twice the life. Package of 5. Use with #86084 Wood Handle sold separately (see below). I tried this for the first time on a plastic model railroad diesel engine shell as a test for a project I have planned. It gives a fine, thin cut like the description says. The cut was accurate and I think it’ll work fine on the actual project. One drawback is that you can’t get into tight spaces, but overall it’s a nice tool.